Since its inception last year, iBeacon has been hailed as the next big thing for retail, thanks to the ability to provide personalized experience, in-store messaging and robust analytics. For the last couple of months we’ve been seeing major players in that field testing and piloting. Now we can finally experience real, big scale deployments, with Toronto Eaton Centre leading the way with Estimote Beacons and Mobile Fringe’s Mall Maverick platform. Eaton Centre is not only among the biggest shopping malls in Canada. It’s also one of the biggest tourist attractions in Toronto, attracting about 50 million visitors each year. It’s a home to locations of about 230 retailers, including the biggest global brands. Recently Eaton Centre decided it’s high time to revamp its mobile offering by building a brand new app, with iBeacon support. 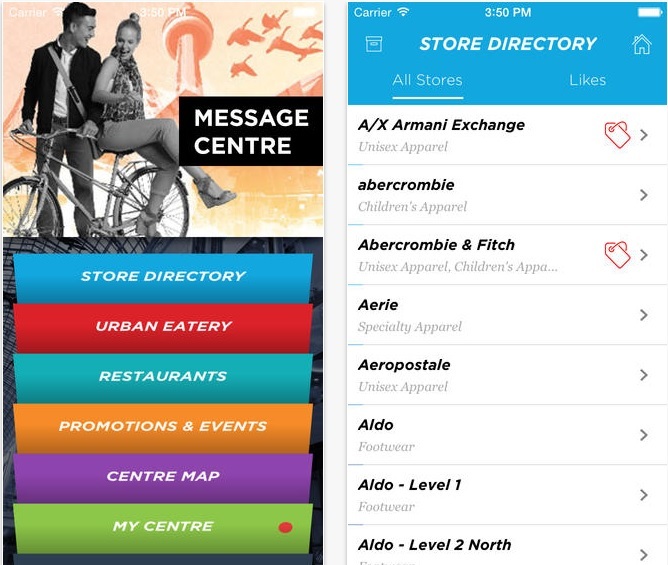 Mobile Fringe was asked to take care of the implementation, using its own Mall Maverick retail platform. They have installed more than 180 Estimote Beacons on four floors of Eaton Center in order to enhance visitors’ experience. The coolest feature of the new Eaton Centre app is the ability to choose your favorite shops from the list of locations and retailers present in the mall. The app will remember your choice and let you know if there are any interesting promotions available in your chosen place anytime you’re nearby. Managers of the mall can also greet visitors with customized welcome messages. One more interesting thing is a beacon-based indoor map - a super-useful feature, especially for the first-time visitors to this 155,000 sq meters giant. It’s important to note that all above features are easily configurable from Mall Maverick CMS component. Eaton Centre administration can also easily manage the beacons and take advantage of the advanced analytic tools to measure foot traffic and create meaningful heatmaps. Sounds interesting? Cool! Download the Eaton Centre app for iOS or Android and grab a discounted coffee next time you’re in Toronto!